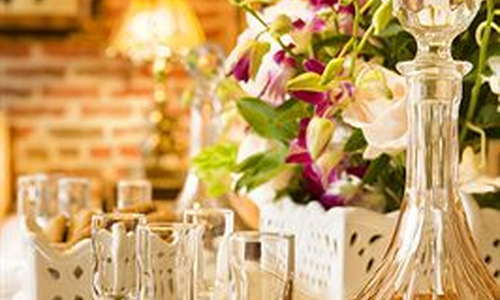 You'll be impressed even before you enter this lovely historic inn, which has a beautiful and inviting exterior courtyard that is popular for wedding receptions. Each room in this classic inn, fashioned out of a pair of meticulously restored 1860s town houses, is named for an American president. Some have four-poster beds, working fireplaces, and private balconies. Enjoy complimentary wine and hors-d'oeuvres in the evening and a turndown service that includes a glass of port or sherry. There are also rooms in another adjacent town house. 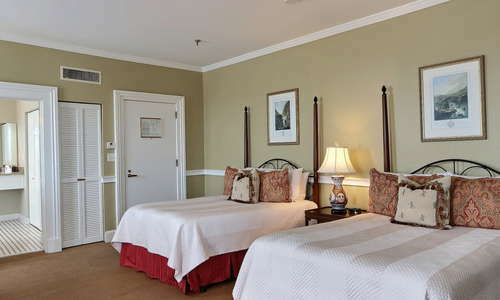 Some rooms are wheelchair accessible, and small pets are allowed on the first floor. 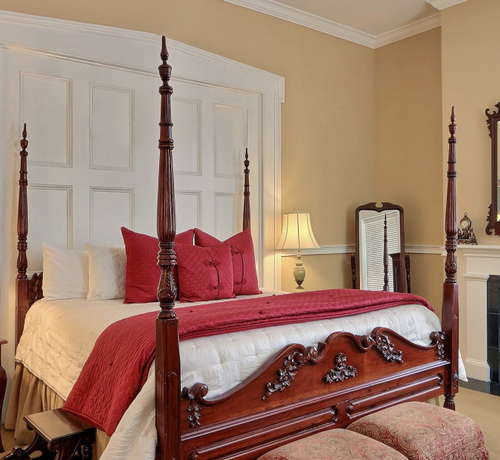 Traditional Southern opulence and comfort awaits you, no matter which president's room you happen to stay in. Warm wood, exposed brick, decorative fireplaces and lush fabrics add to the charm and keep you well-rested and feeling stately. Submit your breakfast reservation for the next morning as early as possible to secure your preferred time. Bathrooms are large and boast modern luxury while preserving historical appeal. Elegant bathrobes are provided for guests, and some en-suite bathrooms have jacuzzis or whirlpool jets. Pursuant to arriving in style, the staff offers curbside assistance with parking and luggage. The lobby consists of a small front desk area that twists away into a charming sitting room, where guests can enjoy coffee or sherry (depending on the time of day), and make their way to the gorgeous courtyard for breakfast or hors-d'oeuvres. If driving, go past the entrance and around the square to enter their parking area from the opposite side of the main entrance. 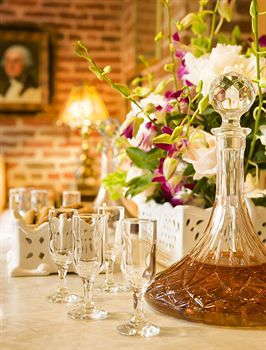 The cocktail service and turn-down cordials are the very essence of upscale Savannah society. 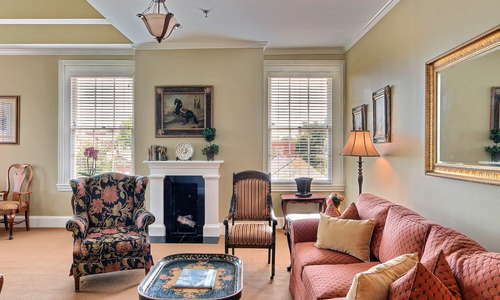 While its location deep in the core of downtown Savannah makes it perfect for exploring by foot, the inn is across the street from a trolley stop. A free shuttle will pick you up at the inn and drop you at the visitor's center, where tour tickets may be purchased. The cozy, classy atmosphere of the 17Hundred90 Inn and Restaurant (1-minute walk) balances out the chilling ghost stories you may hear about the inn from the staff. For a tasty South-African style sandwich, Zunzi's (3-minute walk) can't be missed. And brunch at Collin's Quarter (6-minute walk) will set you up with the proper mix of incredible food, gorgeous decor, cocktails and gourmet coffee drinks for a successful day on the town. Looking for the best cocktail in town to drink in an exquisitely designed room? Look no further than Artillery (10-minute walk or 4-minutes driving). Six Pence Pub (9-minute walk) will delight anglophiles with its long pours, bright red call box and comforting bangers and mash. For a rollicking karaoke night, join the locals at McDonough's Restaurant and Lounge (6-minute walk). 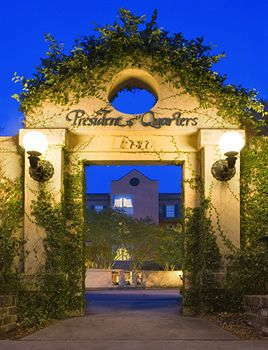 Beautifully appointed rooms with loads of nice extras, a magical courtyard and the best upscale Southern breakfast around make the Presidents' Inn and Quarters a tourist favorite every year.